Zoë Gadegbeku is a Ghanaian writer whose poetry and fiction have appeared in Lawino Magazine, Afreada, Brittle Paper, and The Fem Lit Mag. She was a fellow in the Lannan Center for Poetics and Social Practice, and a participant in the 2017 Callaloo Creative Writing Workshop in Barbados. 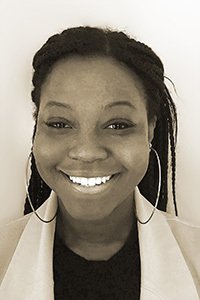 Gadegbeku is an MFA candidate in the creative writing program at Emerson College, where she is the communications associate for the Elma Lewis Center and a research assistant in the Institute of Liberal Arts and Interdisciplinary Studies.